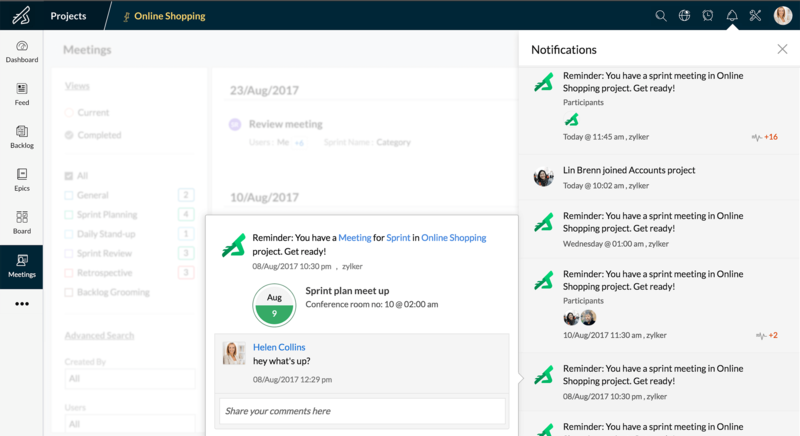 Feeds serves as the collaboration center for distributed teams, where you can find updates, reminders, notifications, and have conversations with your team. 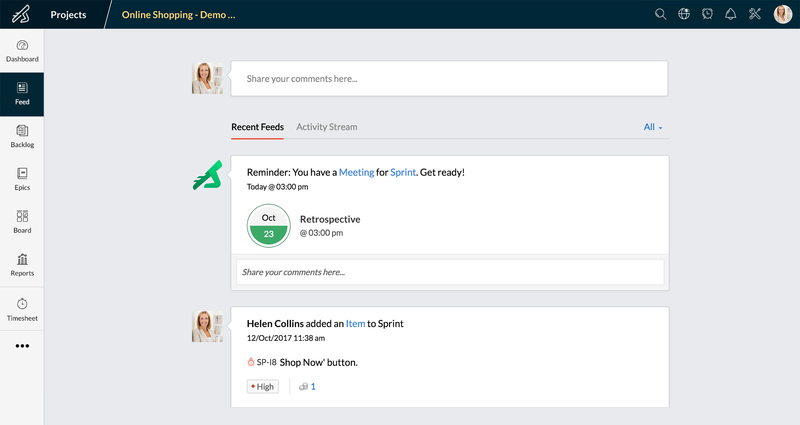 Feeds is the realtime social collaboration tool for Zoho Sprint. 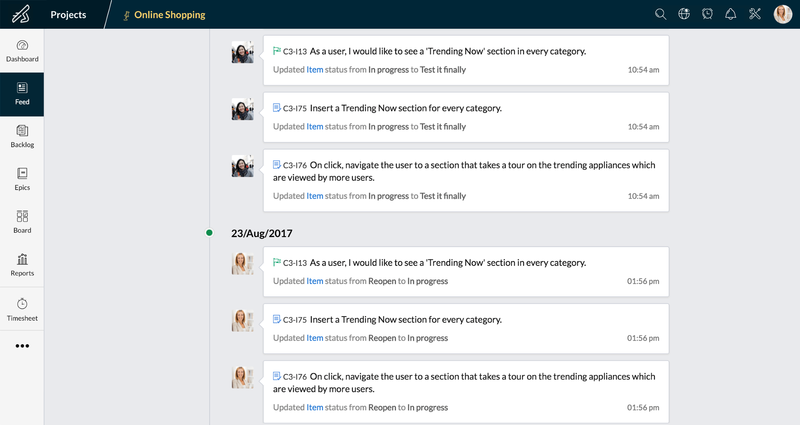 All your updates, announcements, and feedback is organised in one place without juggling multiple tools and windows to get there. Ask questions, share insights, and comment on developments through your feed. Conversations that can happen in your feed won't be bogged down by unnecessary emails and meetings. The Activity Stream keeps you in-the-know about any changes made to the project. From work-status updates to backlog additions, you can find it all here. Get automatic reminders about sprint deadlines and meetings so you are always prepared for what's next.